Vaccinations are a minimal risk for maximum life. 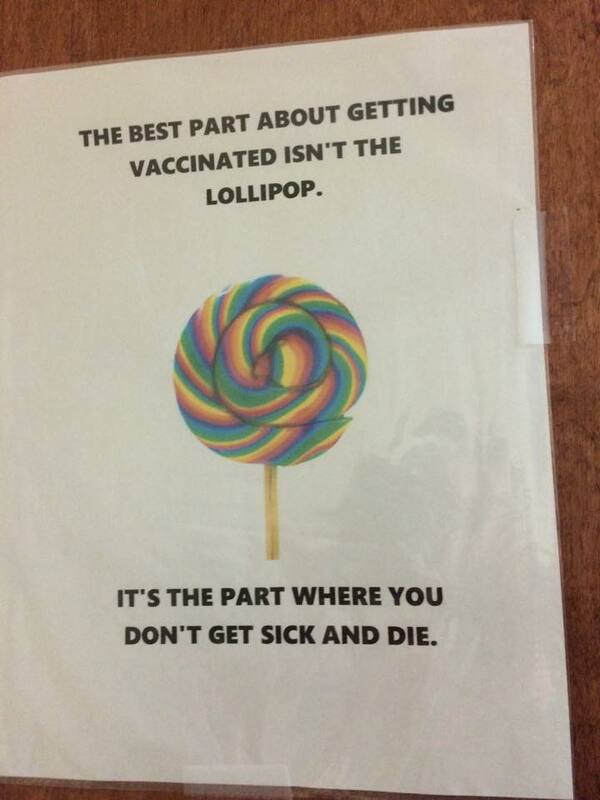 Here’s a doctor’s sign we think best sums up the truth about vaccinations. The best part about vaccinations is you don’t die.